Although we have a fairly good idea of what Apple has in the offing with regards to software thanks to the recent announcement of iOS 8 and OS X 10.10 Yosemite, we’re still very much in the dark as to what new devices the Cupertino will roll out later this year. The headlines may have been dominated with speculation pertaining to the likes of the iWatch and iPhone 6, but both the iPad Air and iPad mini with Retina display are expected to be treated to a customary refresh. Today, a new video takes a mockup of the next-gen iPad Air and compares it with the current model, and although the changes appear to be subtle, we can expect the already-svelte device to become even thinner this time around. Sonny Dickson and the folks of tldtoday have released a clip offering a first-hand glimpse of how the upcoming iPad Air refresh will likely stack up against its predecessor, and as you will see, the newer model is slightly thinner. The iPad Air is already among the most slender tablets in its particular size category, so Apple would do exceptionally well to shave anything off, and while the reduction, from 7mm to 6-6.5mm, isn’t earth-shattering, it’s still considerable. There are some other notable differences, with the mockup showing only a single row of speaker grilles and volume buttons slightly closer together, but the main addition to the fold looks set to be that of Touch ID. The fingerprint sensor has been a hit among iPhone 5s users since rolling out last September, and as such, it seems almost certain that both the next iPad and iPad mini will benefit from this technology. As for the naming of the product, this is a fairly contentious matter given Apple’s previous for chopping and changing. 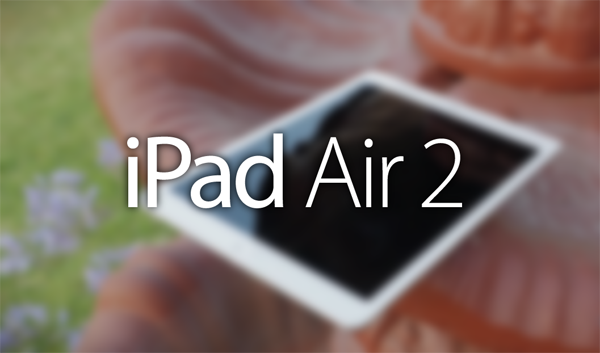 The company could simply go with “iPad Air 2” or “New iPad Air,” both of which seem more likely than “iPad 6.” Irrespective of its moniker, we’re excited at the prospect of the next-generation, full-size iPad, and will keep you guys updated on any more information in its regard. In the meantime, check the comparison video below, and be sure, as ever, to leave your thoughts and opinions in the comments section.